Let’s just say you are coming to Fredericksburg this weekend and you’re not a fan of sauerkraut, and will be skipping Oktoberfest. You can still find entertainment in Luckenbach, Texas at their annual OktoberFiesta! The Oktober Fiesta is a celebration of both German and Mexican Culture with some music thrown in the mix. Performing throughout the day will Stephanie Urbina Jones, Folklorico Dancers, and some Mariachis! There will be a jalapeño eating contest and pinatas. Lots of pinatas. 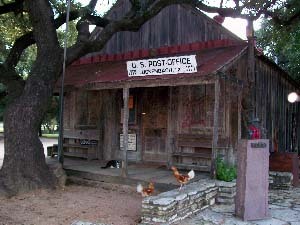 The fun starts at 1 p. m. Visit the Luckenbach website or call 888-311-8990 for more information.